Thailand’s team – featuring the world number one BC2 player Watcharaphon Vongsa and individual BC2 gold medallist Worawut Saengampa – went 2-1 down to Japan before rallying to win the title by 5-4 in the Exhibition Centre. China won an enthralling BC1/BC2 bronze medal match against Brazil by 6-5. But Thailand’s other finalists on the night, in the final of the BC4 event, were unable to contain the talents of Slovakia’s world number one pairing Samuel Andrejcik and Michaela Balcova. Hong Kong’s BC4 pair Wai Yan Vivian Lau and Kwan Hang Wong beat Germany 7-1 in the bronze medal match. 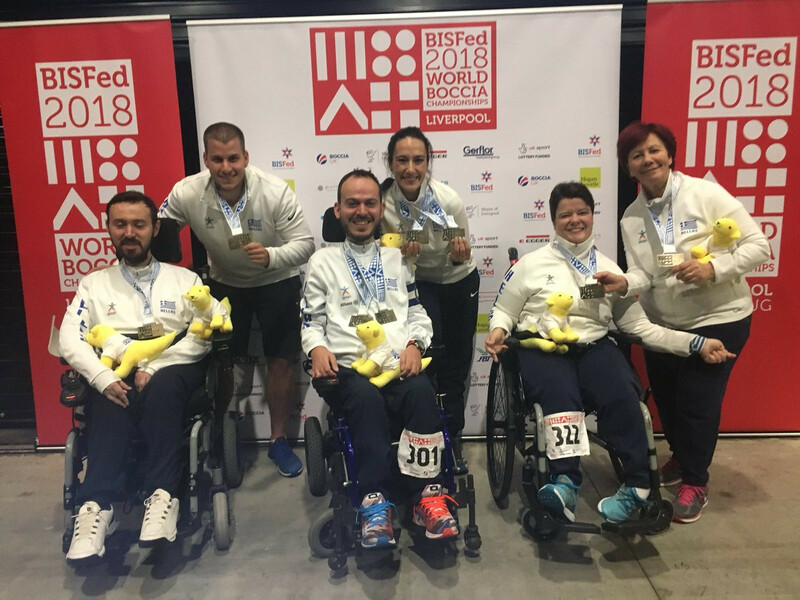 Greece’s Grigorios Polychronidis, individual BC3 gold medallist earlier this week, added a second gold with victory alongside team-mate Anna Ntenta in the BC3 pairs final against Australia. Hong Kong’s all-female pairs team lost out 3-2 to South Korea in the bronze medal match after leading 2-0.